I hope Datuk Seri is healthy and an in the blessings of Allah SWT. Before I proceed this letter let me introduce myself. My name is Faizal Yusup and I am a remisier from Kenanga Investment Bank Berhad also the Vice President of Persatuan Remisier Bumiputera Malaysia. I have been in the capital market industry since 1996 and today I wrote this letter in my individual capacity as an industry observer. Efforts to increase Bumiputera economy through the ownership of shares by 30% since the New Economic Policy was introduced in 1970 by your belated father but until now still not achieved even after more than 40 years it was launched. In addition, most Malaysian citizens have been stuck in the middle-income level for a long time. BRIM granted since last couple years targeting low-income group acts as small gifts that led to increased government spending or in another perspective the government is using taxpayers' money for that purpose. Here I want to give a proposal which, if it applies, then I believe it will lead to changes in the capital markets industry in total. One simple and practical approach is to increase the ratio of the provisions of Initial Public Offer (IPO) to retail investors to a higher level. 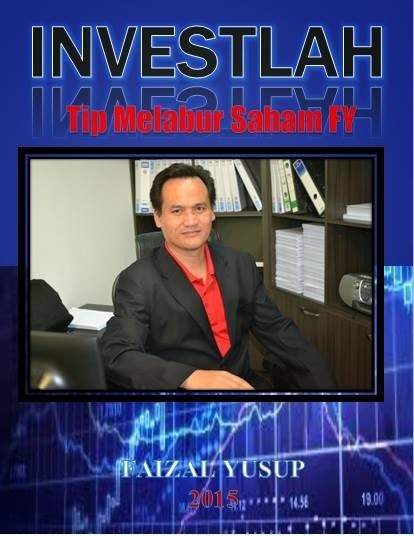 For your information Datuk Seri, prior to 1997, the year when the stock market crash due to the Asean Financial Crisis the ratio of shares allocated to retail investors stands at 70% and only 30% were allocated to institutions and at that time of the IPO Primary Market is growing rapidly and at the same time it increases the retail investors participation in Bursa Malaysia dramatically. IPO investments returns at that time were lucrative not only to retail investors but it also benefits those involved in the industry such as a dealer, remisiers, cooperatives, companies, asset management companies and so on. This is because when the IPO were listed, institutions will be competing with each other to purchase it on the debut day thus they will buy it from the hands of retail investors. Contrary to public investors who holds the stocks for a shorter period, institutions buy the shares for long term investment purposes. What is important is that they collect shares of companies with strong financial background. However, the stock market crash caused by the depreciation of Ringgit Malaysia in 1997 dampens the IPO market. Each new IPO issued were undersubscribed. There are shortages of retail investors and thus as a solution, it were finally allocated to the Institutions. So the ratio was change from 70% to retail investors now it stands at about 30% and institutional investor portion increased from 30% to roughly 70%. 17 years has passed. Retail investors finally have come back to the market as income and savings has increased over the years and also because they had no other place to invest. For example commodity investment such as gold is becoming too risky because the price of these commodities has increase drastically. The same goes as with Property and Real Estate Investments. In addition our people are not well equip to compete with foreigners for investments in derivatives, i.e forex, futures and etc. 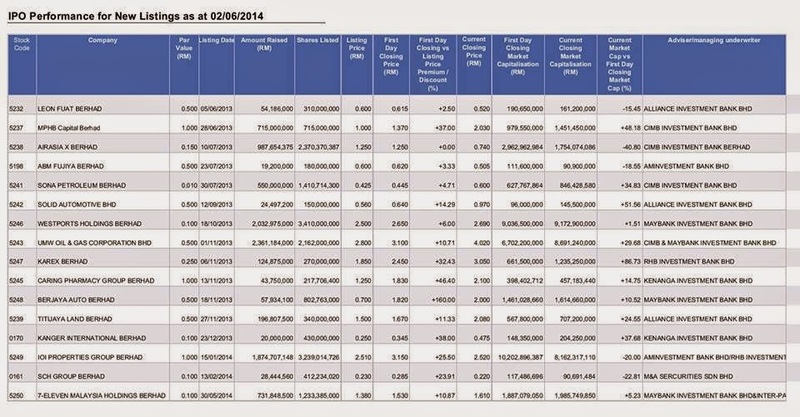 Attached is the IPO performance facts in Bursa Malaysia ended on June 2nd, 2014. It clearly showed good listing performances with premiums for each IPOs since the beginning of 2013 on its’ debut day. The profit ranges from 2% to as high as 160% on the listing day and of course it is definitely a good, low risk and profitable investments. 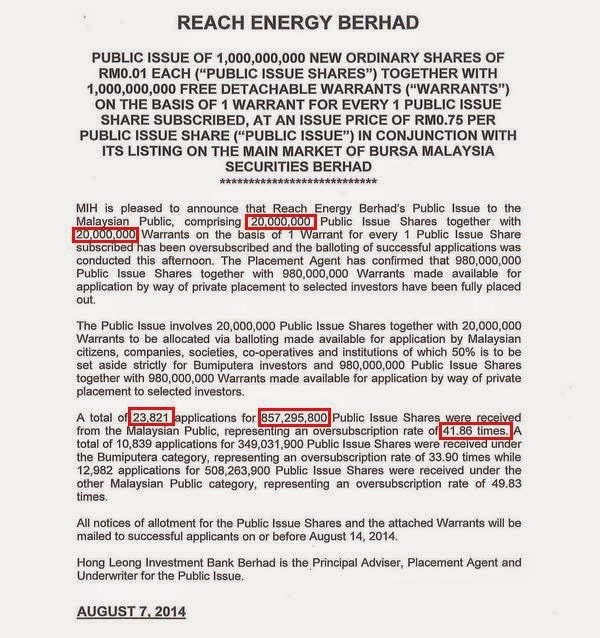 The following I attach the fact sheet of the latest IPO - REACH ENERGY BERHAD that will be listed on the main board of Bursa Malaysia on 15 August. In a Press Release issued by the Malaysian Issuing House (MIH), we can see that 23 821 people applied for a total of 857,295,800 shares and only 3,208 investors succeeded with allocation of only 20,000,000 million shares of the company issued from the total of 1,000,000,000 new shares. This is only a mere 2% of the total allocation. Are they giving it just to satisfy the requirements or in a Malay proverb “melepaskan batuk di tangga”? Where is the rest of the 980 million allocations goes to? Let say 30% were allocated to the retail investors, the total is 300 million shares and it is still much lower than the 857,295,800 units of applications. Datuk Seri, isn’t improving the economy of the 23,821 retail investors is much better than increasing 3,208 people only? I think with the current demographic situation of 50% should be allocated to the public investors totaling 500 million shares. 500 million units are actually half of the entire application, as we can see in the above fact sheet. In this chart clearly shows that only 14% of 1,597 investors allocated 10 million units of the 10,839 people who applied for the investors. Usually from my observations in the range 15,000 investors applying for an IPO shares. Maybe this time it is low because it was open for subscription during the Aidil Fitri festivities. 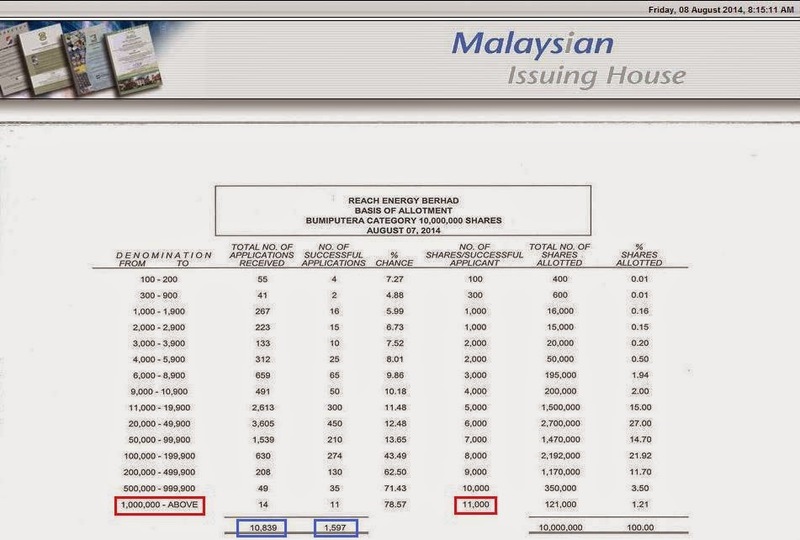 Here also we can see that 11 of the 14 investors who seek one million units by placing the capital of RM750,000.00 but unfortunately only 11,000 units allocated to them. Isn’t that funny? An allocation of 1.1%. For the allocation of Non-Bumiputera investors, the same thing happens. Demands are much higher than supply. 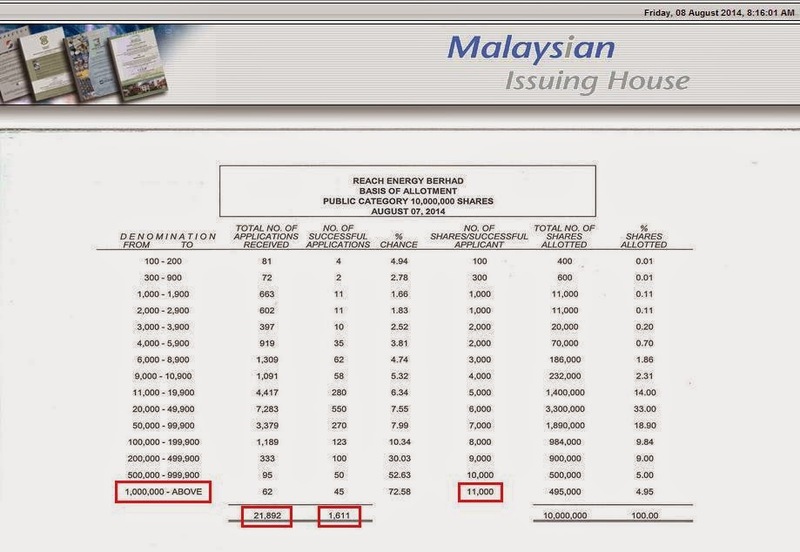 Usually from my observations of IPO applications for Non-Bumi stands around 50,000 applications. Maybe many have given up because of this scenario. Maybe it's just a waste of time for them to apply the IPO. 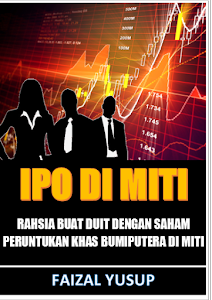 Worse still, unlike most IPO’s where there are certain part of the shares (usually around 10 to 12.5%) allocated to Ministry of International Trade and Industry (MITI) which in turn will allocated the units to Bumiputera investors, but this did not happen to this stock. In my opinion these days the Institution and Bank Advisors has become greedy. All they think is their livelihood without thinking of the fate of many retail investors who are mostly without a decent alternative to carry out their investment. If this situation prolong I believe they will continue to invest in overseas financial instruments, Forex, Derivatives or even Ponzy scheme and many others which simply will not benefit any parties. 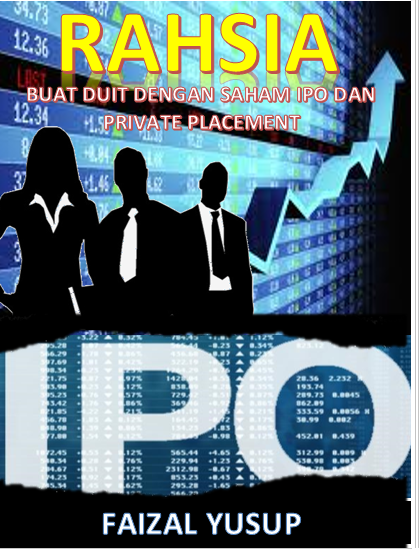 However, if the Datuk Seri, as the Finance Minister understood and took action by changing the IPO structure policy, then InsyaAllah it will change the landscape of this industry as a whole. Many retail investors be it Bumi or Non Bumi will ripe its’ benefit. Dealers and Remisiers like me will be able to increase our revenue. Market players, Asset Management Companies, even the listed companies will cherish and at the same time institutions will still get fair share from the open market. Bursa will have its’ velocity and liquidity and this in turn will attract foreign investors to invest in Bursa. For instance, If 3 billion Felda Global Ventures (FGV) shares were allocated to 3 million investors with 1000 units at a price of RM4.55 and it opened at RM5.30 on listing day, then every one of the 3 million investors will make a profit of RM750.00. So would it be the same as the provisions of the BRIM? However, in contrast to the BRIM they can apply for the next IPO shares and get the profit again for each of the IPOs listed on Bursa Malaysia. This will provide approximately RM2.25 billion additional spending power, which can boost the economy through consumer spending. That is just for ONE listing! 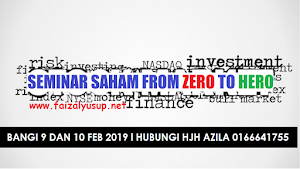 In addition to these changes would open the eyes of many retail investors to enter the market indirectly by increasing capital market and make Bursa Malaysia stronger and bigger until it appeared in the eyes of the world. Increase the capital market will bring benefits to many people and it will also attract foreign investors to invest in a country that we love. Thus, once again, I recommend that a policy is developed in which the allocation of IPO shares is increased to 50% to retail investors in order to achieve the objectives described in this letter. I pray that this letter will reach Datuk Seri and I hope that Datuk Seri will take further action for the betterment of the investment community in particular and for the betterment of Malaysians in general. Selamat Hari raya Aidil Fitri, Maaf Zahir dan Batin. InsyaAllah, I will be at your Hari Raya open house at PWTC. For those who read this letter and agree with me, please do share it and hope that it reaches the Prime Minister. Let’s hope and pray that this proposition will be carried out for the benefit of all. Let the people’s power make its mark! Thank you.